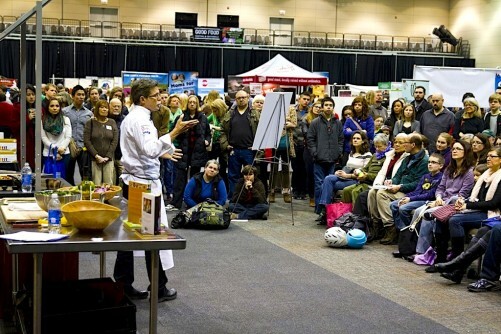 FamilyFarmed Conference To Explore: Does Good Food = Local Food? 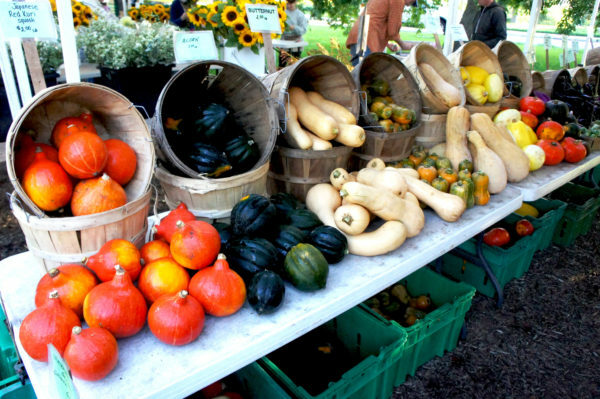 “Good Food movement” and “Local Food movement” are virtually synonymous to a lot of people. No surprise, really. Locally grown produce, picked at the peak of maturity, tends to be super tasty. Much research shows fresher food maintains more nutrients than food sold weeks after harvest. And bigger markets for local farmers help stimulate economic and job growth. 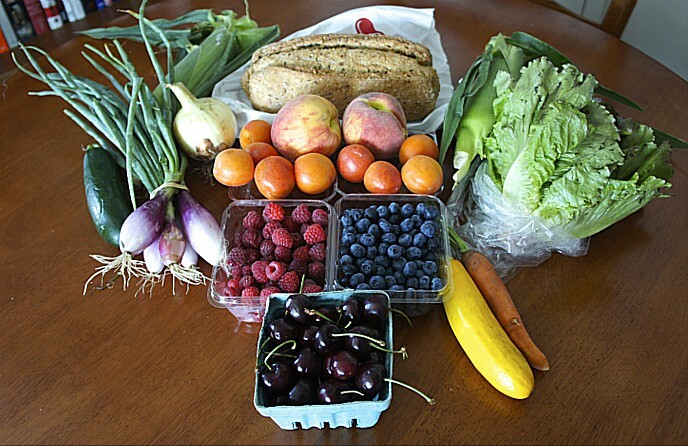 Many consumers identify Good Food as local because they buy directly from producers at farmers markets and through Community Supported Agriculture (CSA) subscriptions. And retail demand for local food is fueling the development of indoor-growing technologies, which enable year-round production of items such as tomatoes, greens and herbs in places (such as our hometown of Chicago) where the outdoor growing season runs about six months. Yet… that same rising tide of consumer demand for Good Food is prompting more and more retailers, wholesalers and chefs to think globally while they act locally. And this is forcing a reconsideration of whether Good Food = local food all the time. Even FamilyFarmed in recent years has made a subtle adjustment, saying that Good Food is produced as locally as possible (instead of simply “local”) using sustainable, humane and fair practices. This key issue for the movement will get a high-profile airing with FamilyFarmed’s “Does Good Food Need to Be Local?” panel discussion, which will keynote the Good Food Trade Show and Policy Conference on Friday, March 17 (for more information about the event, or to buy tickets, please click here). Bayless, for one, will be able to share powerful perspectives about both sourcing locally and reaching beyond local — in both cases to extend his pioneering role in developing markets for small farmers. Since he opened his landmark Frontera Grill 30 years ago, and popularized regional Mexican cuisine in the United States, Bayless has purchased ingredients from local farmers to help them grow their businesses. He was a major supporter of the first big wave of farmers markets that emerged in Chicago during the 1990s. And he went much farther in 2003 when he established the nonprofit Frontera Farmer Foundation, which has given a total of nearly $2 million in grants to dozens of Midwestern farmers to help them succeed. 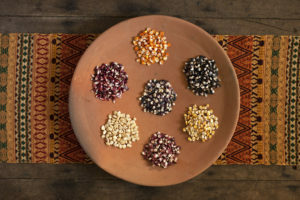 Native, or landrace, corn from the Mexican state of Oaxaca grows in a range of beautiful colors. Chicago’s Rick Bayless is among the leading chefs across the country who are importing this corn, for authenicity in their cuisine and to provide a market for Oaxacan peasant farmers. Photo provided by Masienda. But Bayless, who lived in Mexico for several years deeply researching its regional cooking styles, also is doing his part to help peasant farmers in the Mexican state of Oaxaca by buying heirloom corn — from Masienda, a company that imports from that region — for the tortillas he serves at his expanding group of restaurants. In addition to the social mission this entails, Bayless said this corn provides a more authentic flavor than even the sustainably produced corn he regularly buys from Illinois farmers much closer to home. “When we saw the first batch of masa come in the back door and the aroma of it, all of our staff that was born and raised in Mexico just automatically stopped and they said, ‘What is that smell? I haven’t smelled that in years and years,” said Bayless. Bayless’ food sourcing roots remain planted in the Chicago region, though, and he is an outspoken advocate of the greenhouse, hoop house and indoor vertical farming operations that are not only expanding the volume of local food, but extending the local growing season to virtually year-round for a still small but growing number of products. 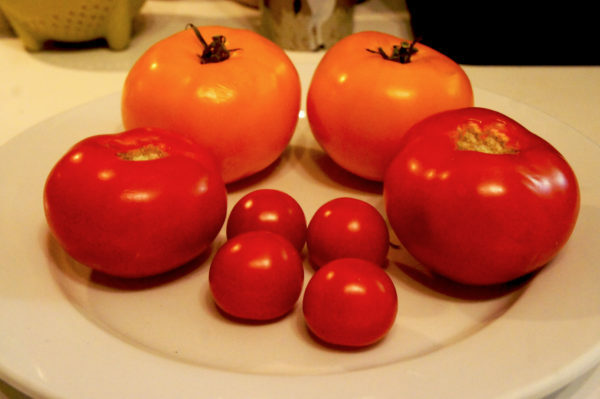 One of these is MightyVine, a company that uses greenhouse practices developed in The Netherlands to grow tomatoes in Rochelle, Illinois (80 miles west of Chicago) that are ripe and near field-grown quality, unlike the hard and unripe tomatoes identified with traditional greenhouse growing. Murphy — who heads the company along with Local Foods, an appropriately named distributor and grocer — not only is on the March 17 panel with Bayless, but is a co-chair of the Frontera 30th Anniversary Celebration on April 30 at the Art Institute of Chicago, a fundraiser that will benefit the Frontera Farmer Foundation and FamilyFarmed. Bayless is one of a number of restaurateurs, grocers and consumers who consider MightyVine tomatoes one of the biggest developments in recent years on the Chicago culinary scene. MightyVine is growing 7 million pounds of hydroponic tomatoes in two 7.5-acre greenhouses, according to an article on indoor growing published Feb. 24 by Crain’s Chicago Business. S2G, a venture capital firm that invests in sustainable agriculture and food companies, will receive FamilyFarmed’s 2017 Good Food Business of the Year Award at the Good Food Financing & Innovation Conference, which kicks off FamilyFarmed’s three-day Good Food Festival and Conference on Thursday, March 16. It becoming increasingly apparent that the growing consumer demand for Good Food will be met with a combination of traditional sourcing from local farmers, new technology-aided indoor techniques, and a reach across the country and across our borders for products that have a particular flavor profile, are available locally only in-season… or are simply never available locally. The truth is that people in the Chicago area like coffee and pineapples and bananas as much as the next guy, and if that stuff starts growing in the Great Lakes region, even the most fervent climate change denier would have to throw in the towel. This entry was posted in Community Supported Fisheries, CSAs, Direct Farm Marketing, Family Farms, Farm businesses, Farmers markets, Food and technology, Food Artisans, Food Entrepreneurs, Frontera Farmer Foundation, Good Food and economic development, Good Food business development, Good Food Festivals, Good Food Financing Fair, Good Food marketing, Good Food trends, Indoor growing, James Beard Foundation Awards, Local Food, Small Farmers and tagged Chicago Tonight, Crain's Chicago Business, FamilyFarmed, Frontera 30th Anniversary Celebration, Frontera Farmer Foundation, Frontera restaurant group, Good Food Festival & Conference, Good Food Financing &Innovation Conference, Good Food Trade Show & Policy Conference, Green Acres Farm Indiana, Green City Market, James Beard Foundation, Local Foods Chicago, Masienda, MightyVine, PRE Brands, S2G Ventures, US Foods, Whole Foods Market, WTTW. Bookmark the permalink. Get the latest Good Food news delivered to your inbox. Sign up for our newsletter. 1. Delicious, healthy food, accessible to all, produced as close to home as possible by family farmers and producers who use sustainable, humane, and fair practices. 2. A fast-growing movement creating vast numbers of jobs and economic development by providing people with food that matches their values.